The Enhanced Services Boot Camp faculty includes a powerhouse of pharmacy owners—like you— and experts who have successfully implemented a variety of enhanced services. Due to the frequency and demand for the Boot Camps, NCPA education team calls on a variety of owners to limit any speaker's time out of their pharmacies. Speakers may vary based on the individual event. Please email Carlie.Traylor@ncapnet.org with any questions. Ashley Branham, PharmD, BCACP, is the director of clinical services at Moose Pharmacy in Concord, N.C. She is currently working in collaboration with Community Care of North Carolina to lead the Multi-State Community Pharmacy Learning Collaborative and assist in the development of high-performing community networks across the nation. 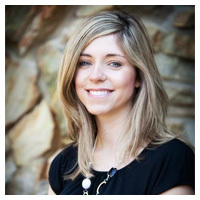 Branham received her bachelor of science in biology from the University of Kentucky in 2004 and her doctor of pharmacy from Campbell University in 2008. She has completed a community pharmacy residency at the UNC Eshelman School of Pharmacy and Moose Professional Pharmacy in Concord. She also completed a postgraduate year 2 (PGY2) community pharmacy residency with a focus in academia with the UNC Eshelman School of Pharmacy and Moose Professional Pharmacy. Branham is involved in the implementation and enhancement of clinical activities, including immunizations, medication therapy management services, women's health consultations, insulin-pump training, and disease state management programs. She is currently a preceptor for student pharmacists completing advanced pharmacy practice rotations and for residents completing a community pharmacy practice residency with the UNC Eshelman School of Pharmacy. In October 2010, Branham was a finalist in the Parata/Pharmacy Times Next Generation Pharmacist Rising Star of the Year Category. In March 2011, she was recognized as the APhA Immunization Champion Honorable Mention in the Individual Practice Category, in October 2012 as NCPA Outstanding Adherence Educator, and in August 2013, as the North Carolina Association of Pharmacists Community Pharmacist of the Year. Branham is an active member of the North Carolina Association of Pharmacists, American Pharmacists Association and the National Community Pharmacists Association. She serves as Immediate-Past President of the North Carolina Association of Pharmacists. John has been a community practitioner for 35 years. With much support from family and friends, John with a former colleague and friend, Paul Pagnotta, opened Four Corners Pharmacy in Delmar NY on March 4th, 2005. As the community supported their patient centered service philosophy, they were able to purchase a vacated standalone bank location and move their pharmacy in July of 2013. It is there where they continue today to provide the services of home delivery, individualized counseling, vaccinations, used syringe and drug takebacks, medication synchronization, compliance packaging and compounding for both pediatric and veterinary patients. He is proud to have been a member of the NYS Board of pharmacy from 2007 to 2017. He had served as chair of the state's practical exam for 3 years and was also the Chairman of the Board for the 2013-2014 session. He currently serves as an extended member of the Board. John was also appointed to the NYS Medicaid Pharmacy Advisory Committee and serves to this day. John is a member of the Albany County Medical Reserve Corp and participated in the first County wide H1N1 vaccination clinic in 2009. John is a NCPA member at the national level and a PSSNY member at the state level. He was recently awarded the 2018 Excellence in Innovation Award, in large part due to his work with the UPSTATE NY CPESN network. Connecting the network with a Health Information Exchange system, providing real-time video conferencing with patients on home deliveries, piloting Visiting Nurse collaborations and being a collaborating partner with NYS Medicaid in providing enhanced pharmacy services to improve patient outcomes and reduce medical costs have been some of the early successes of CPESN UPSTATE. 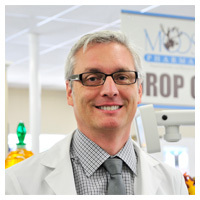 Dr. Tripp Logan received his PharmD from the University of Missouri-Kansas City School of Pharmacy in 2002. After graduation, he returned to his native Charleston, MO to practice pharmacy with his father, Richard. The Logan Family currently owns and operates 2 independent community pharmacies in the Southeast Missouri area with a strong focus on patient care and pharmacy quality. In early 2013, they launched MedHere Today, a Nashville, TN based pharmacy quality consulting firm. Their mission is to help health care stakeholders expand and grow their quality initiatives by leveraging the true value driven by community pharmacies. Dr. Logan is a registered pharmacist in the state of Missouri and currently practices at L & S Pharmacy and Medical Arts Pharmacy. Tripp also serves in measure development leadership at the Pharmacy Quality Alliance, is NCPA's Board Liaison to the Pharmacy Quality Alliance, is a NCPA Innovation Center Board Member, a Community Pharmacy Enhanced Service Network (CPESN-USA) National Luminary, Missouri's Community Pharmacy Enhanced Service Network (CPESN-MO) Lead Luminary, the 2014 NCPA Outstanding Adherence Practitioner of the Year Award recipient, and Partner at MedHere Today Consulting. 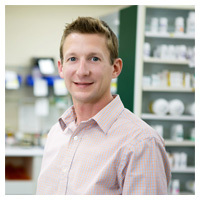 Dr. Ben McNabb is a 2012 graduate of The University of Texas at Austin College of Pharmacy. After graduating, Ben returned home to purchase Eastland Drug Company; the same pharmacy where he got his first job at 16 years old. Since the time of the purchase in 2015, Ben and his wife Heather rebranded the business to Love Oak Pharmacy and have worked tirelessly to improve every aspect of their business. Ben has focused on improving patient care with adherence packaging, targeted data-driven outreach, point-of-care testing, immunizations, and diabetes education. He is also focused on ways to online-proof his business; strategizing about ways to strengthen the brick-and-mortar experience and ways to remain viable in an increasingly online retail world. Ben is a preceptor for students completing advanced practice experiential education rotations with Texas Tech Health Sciences Center School of Pharmacy, a Board Member of Texas Pharmacy Business Council, a founding member and Lead Luminary of CPESN Texas, an Appointed Member to the Texas HHSC Value Based Payment & Quality Improvement Advisory Committee, and member of the Dean’s Advisory Council at UT College of Pharmacy. Ben was recently awarded the 2018 NCPA Innovation Center Excellence Award for Best Social Media Campaign and the 2018 NCPA Outstanding Adherence Practitioner Award. 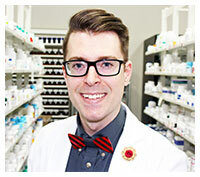 Joe Moose, PharmD, is a clinical pharmacist and co-owner of Moose Pharmacy and its six locations in North Carolina. Joe received his doctorate of pharmacy from Campbell University in 1990. Moose serves as a primary preceptor with the UNC Eshelman School of Pharmacy Community Pharmacy Residency Program. 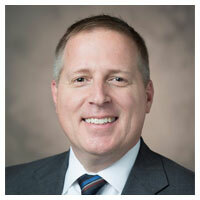 He is also a preceptor for students completing introductory and advanced practice experiential education rotations with the UNC Eshelman School of Pharmacy, Campbell University, and Wingate University School of Pharmacy. In his role at Moose Pharmacy, Moose has established collaborative practice agreements with local physicians' offices to integrate community pharmacists into a patient-centered medical home. Under his leadership, Moose Pharmacy has also partnered with the City of Charlotte and Union County to manage employees enrolled in diabetes and other disease management programs. Working with his pharmacy staff, Moose has implemented and enhanced a variety of clinical services in his pharmacy, including MTM. Moose also serves as the Lead Community Pharmacy Coordinator for Community Care of North Carolina. In this role, he has built a network of more than 200 high quality community pharmacies that strive to offer enhanced value to payers. He is the recipient of the Next Generation Pharmacist of the Year Award, Next Generation Entrepreneur of the Year Award, 2015 APhA Community Pharmacy Residency Excellence in Precepting Award, and the 2010 NCPA National Preceptor of the Year Award. He has maintained professional affiliations with the National Community Pharmacists Association, the American Pharmacists Association, and the North Carolina Association of Pharmacists. An enthusiasm for helping businesses improve their go-to-market strategy and a strong belief in community pharmacy collided for Jay Williams nearly 20 years ago. Since then, he has been working directly with independent community-based pharmacy owners to help them tell their story. 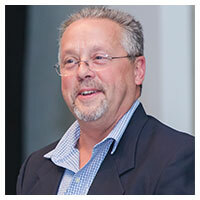 As the Marketing Communications Lead for CPESN USA, Jay continues that journey. Prior to joining CPESN USA, Jay served as the Vice President of Marketing for PrescribeWellness, Vice President of Marketing for Cardinal Health, and Director of Marketing for AmerisourceBergen. In each of these roles, he was responsible for all of the marketing strategy and communications deliverables impacting independent community-based pharmacies.